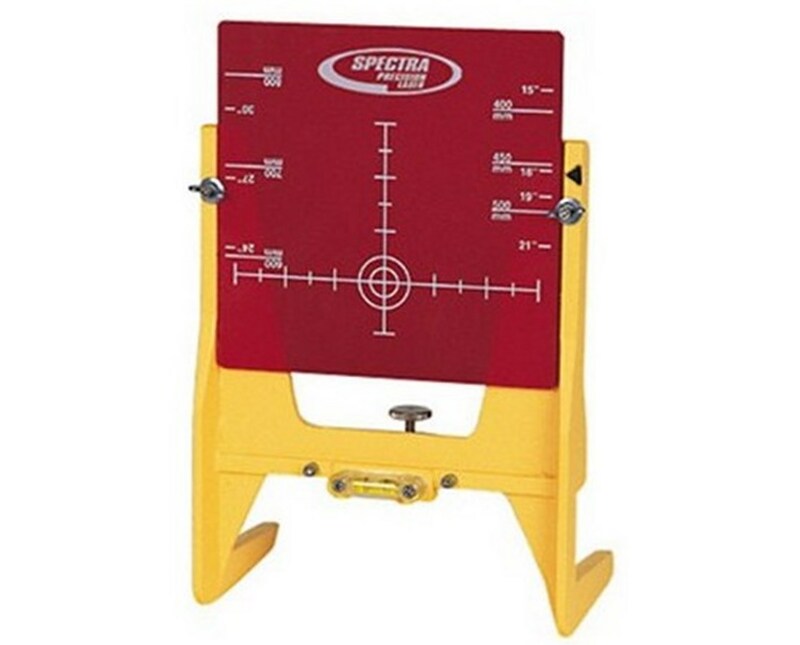 The Spectra Precision 936 Adjustable Large Pipe Laser Target can be set up on the bottom of a pipe or mounted on a pre-cut 2x4. 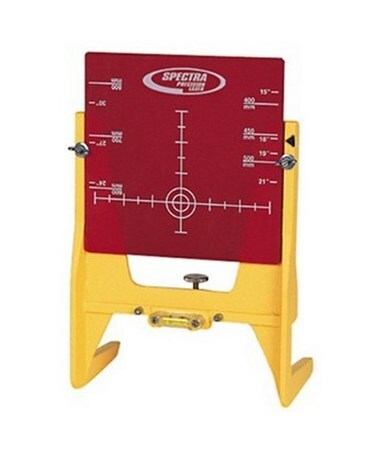 Target measures 8" x 8", and may be raised and lowered. Mount is powder coated steel.